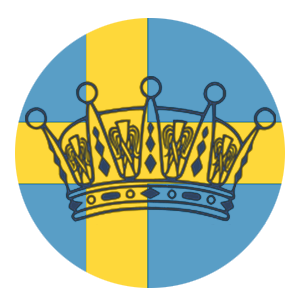 Today is World Water Day and Crown Princess Victoria had two events to mark the day. 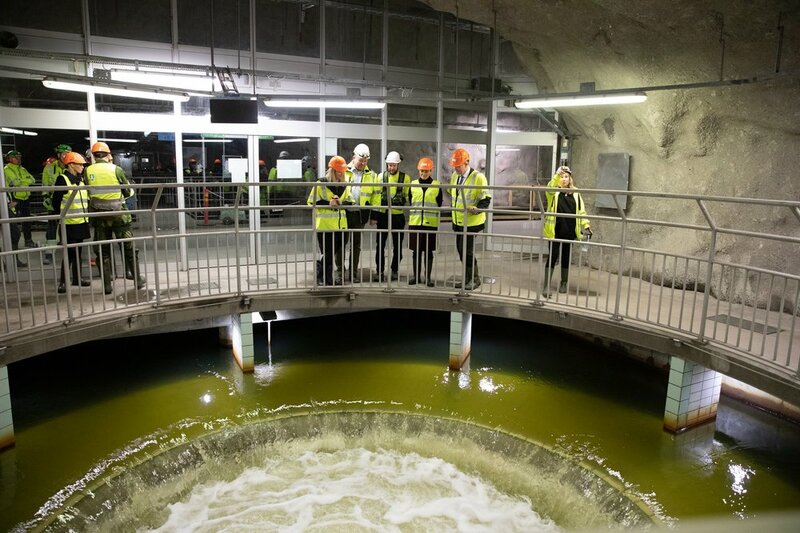 She first visited the Henriksdal Wastewater Plant in Nacka. The renovation of Henriksdal Sewage Treatment plant is Stockholm’s largest environmental project to date. This renovation is going to allow the capacity of the system to double but not take up any more physical space. With the invention of new smart technology, there is now the capacity to clean small particles such as microplastics, bacteria and viruses which will help to improve the protection of the Baltic Sea. The plant is upgraded with a new membrane technology that makes it possible to clean the wastewater better than before. The renovation of Henriksdal Sewage Treatment plant also include a renovation of the Sicklaan plant which will be upgraded with coarse cleaning, sand catching and pre-sedimentation for the sewage that comes from Söderort and Västerort. This also means that the Bromma sewage treatment plant is shut down and will be replaced by a 14-kilometer long sewage tunnel will be built 30-90 meters below the ground to guide the wastewater from Bromma to Sicklaan. This renovation will turn the Henriksdal Sewage Treatment plan into one of the world's most modern sewage treatment plants. On 24 March, the public is invited to visit the development of the sewage treatment plant. Crown Princess Victoria has already visited a waste management plant in February. After her visit to Nacka, the Crown Princess went to Haga Park where she joined Katarina Luhr from the Climate and Environmental Citizens Council and Cecilia Chatterjee-Martinsen, the Secretary General and CEO of WaterAid Sweden. The three woman each filled a canister with 20 liters of water from the river and proceed to do a small hike with the canister on their backs in order to imitate the way water is brought home in Third World countries. According to WaterAid Sweden, 844 million people in the world lack access to clean water, and when there is no water in the immediate area, it is almost always women's responsibility to bring home water to the family. It is a job that can take several hours each day, which means that women do not have time to work and girls have to leave school. Crown Princess Victoria wore the burgundy coat she debuted on her Name Day earlier this month with a new navy turtleneck and navy trousers. She also wore her ufo burgundy ankle boots with a new Hippi Grace ‘Brighton’ bag, her Carl Edmond Granit White watch and old earrings. On her wrist she wore her favorite bracelets from Sophie by Sophie and Ebba Brahe. For the event in Haga Park, she wore a new Tretorn Out of the Sea Raincoat with her Merrell shoes.